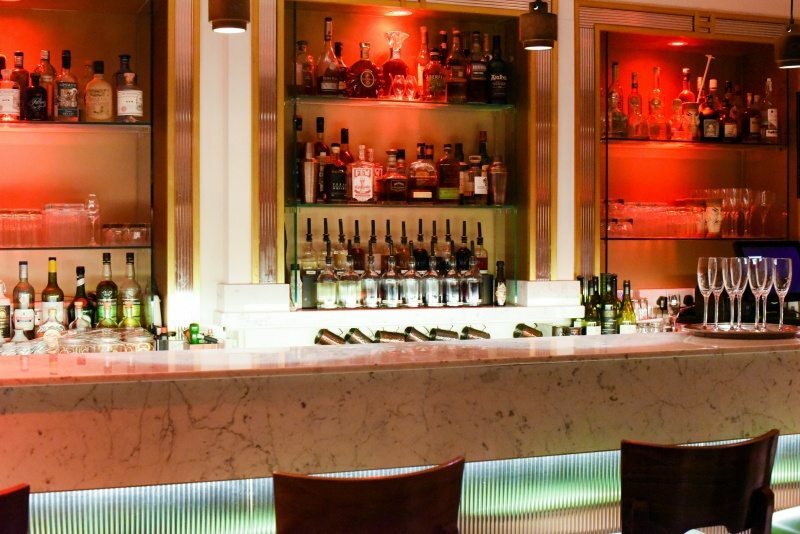 House of Ho opened late last year as the new shiny flagship restaurant to its older sister restaurant Ho Modern Vietnamese in Soho, with Ian Pengelley taking the helm as the new chef on the scene. 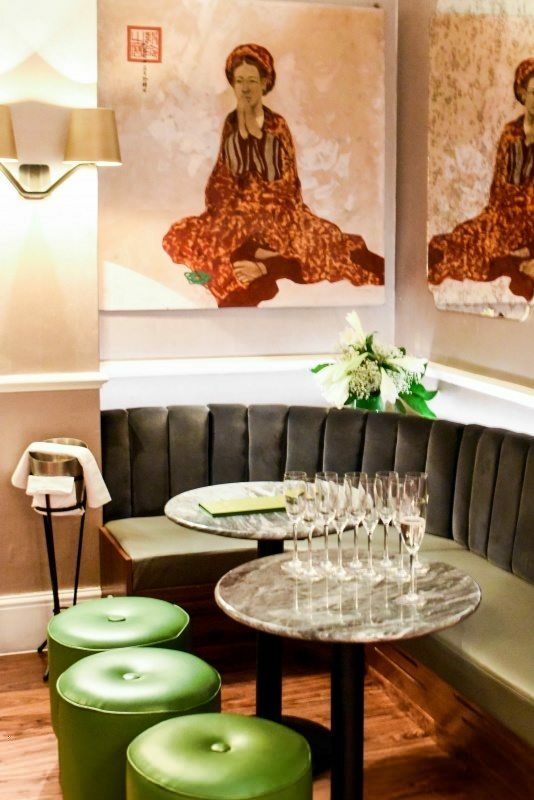 The restaurant spans an impressive 4-storey townhouse, with intimate private dining rooms and a top floor lounge & bar area complete with a DJ set. 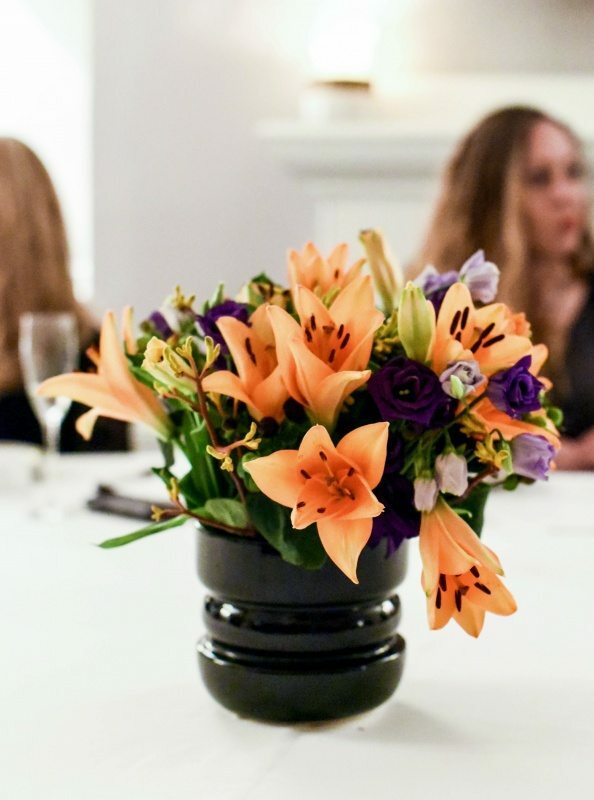 The décor features elegant colonial-inspired interiors, marble surfaces, white tablecloths and fancy lighting. 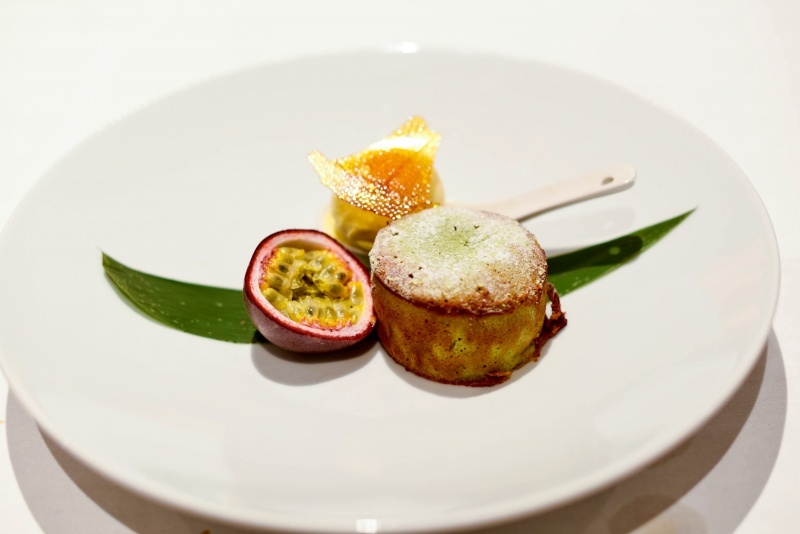 Pengelley’s no gamble, having trained under Gordon Ramsay, and been the executive chef at Notting Hill’s E&O, Belgravia’s Mango Tree, Camden’s Gilgamesh and Harrods’ luxury Chinese Pan Chai and Chai Wu. His food is vibrant & bold, for all the right reasons. After an incredibly welcoming start in the top floor lounge, complete with bubbles, a proper introduction by Marketing Consultant Simon Kane and Marketing & Events Manager Emma-Li Toh, who gave a passionate explanation of the Ho Group’s concept, we were led downstairs to a beautiful private dining room that was both smart & homely. The thought & care that had gone into the evening by both Neil Reading PR and House of Ho was apparent in every detail, and was a true pleasure to experience. 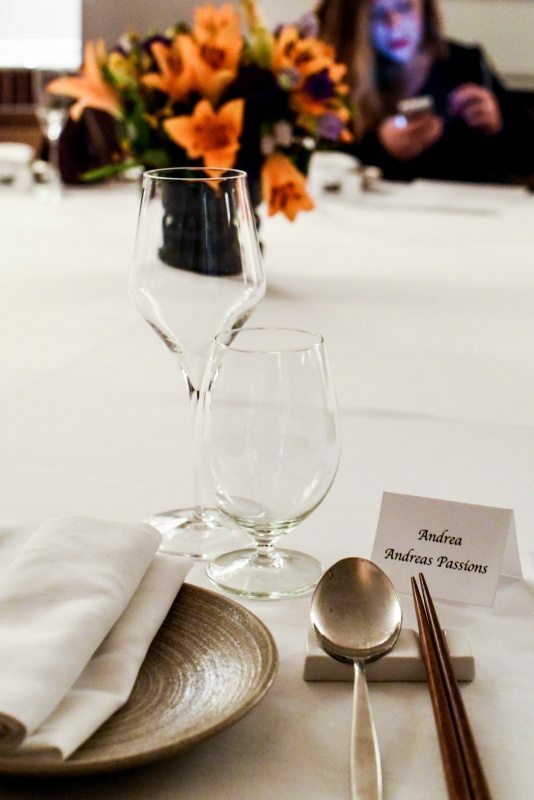 It never fails to amaze me the difference that a little care and personability makes to the overall enjoyment of your meal; the smallest effort goes the furthest way and is so often overlooked by top restaurants. 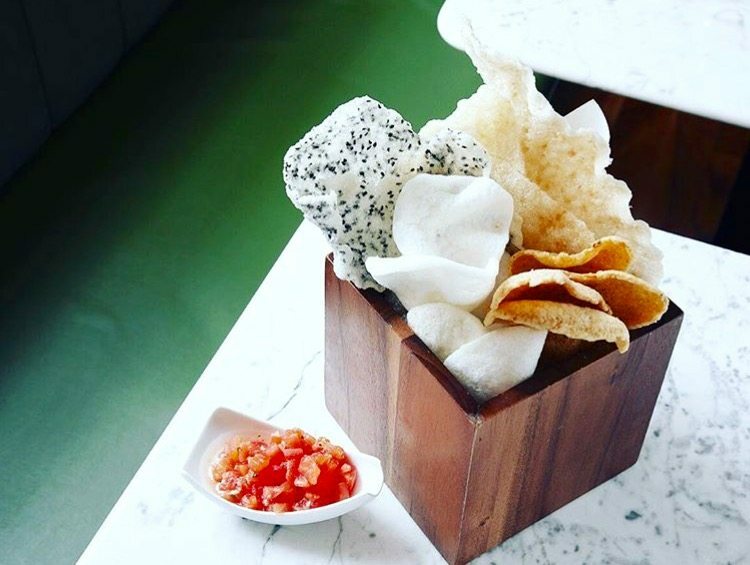 To start our authentic Vietnamese culinary journey we blessed the food with a traditional aperitif of sake, ‘Nanbu Bijin, Tokubetsu Junmai’, and nibbled on some Vietnamese crackers served with a zingy tomato salsa and Asian pickles. With wine in hand, ‘Tormaresca Chardonnay, Tormaresca, Italy, 2014’, the feast began. 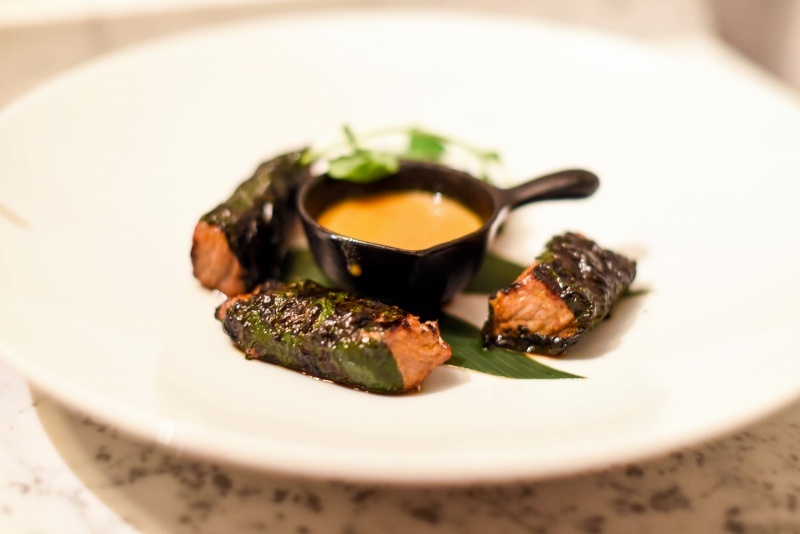 Starting with “bo la lot”, Black Angus beef fillet wrapped in betel leaves, served with a satay sauce. Definitely one of the (granted, many) highlights of the evening for me. MY GOD that beef was tender, and the satay sauce dangerously moreish. A seriously good start. 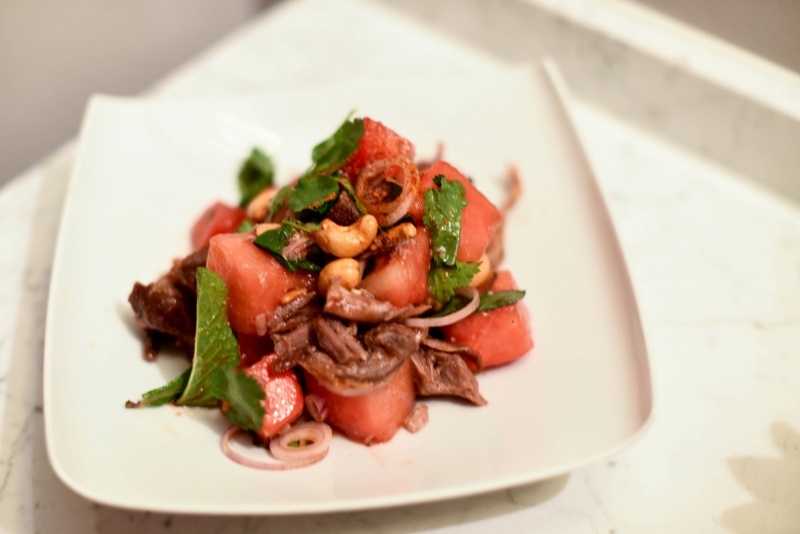 The crispy duck & watermelon salad was another outrageously big hit, filled with equal pieces of succulent and crispy duck, accompanied by juicy fresh watermelon chunks, a light, sweet, citrusy sauce and crunchy cashews. 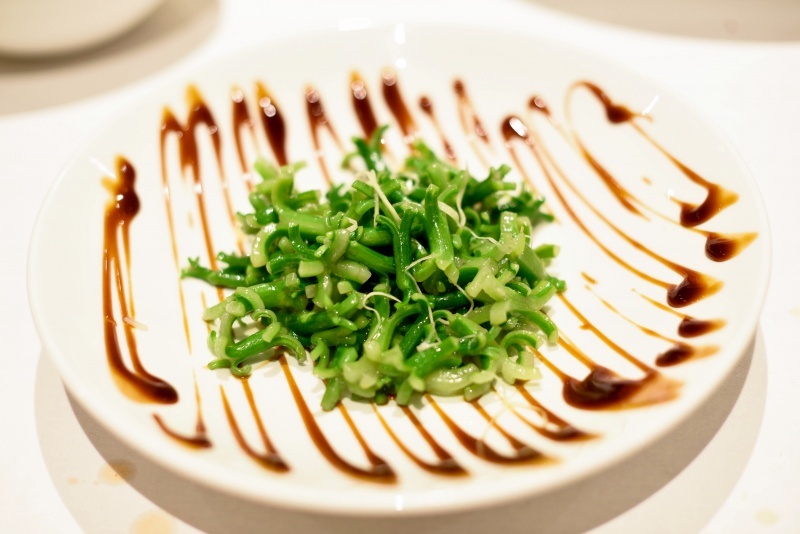 ^ This is considered one of Ian’s signature dishes and, after sampling it, it’s easy to see why he took his creation with him when he left E&O. The crispy squid with chili & sea salt wasn’t my favourite, with the squid a little too thin & crisp for my liking, although I did notice that this is exactly how it was served at Zuma as well, so perhaps is a more authentic Asian way of executing the dish compared with the chunkier, juicier European style. Plus, I must say that the sweet chili dipping sauce was obviously homemade and absolutely delicious. 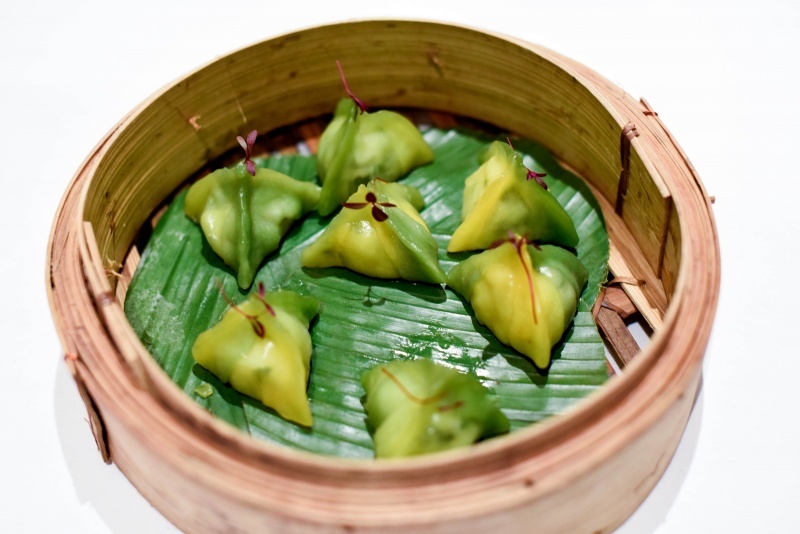 The seabass & prawn dumplings were unreal, generously filled with the fresh seafood and encased in a light, perfectly chewy dough parcel. 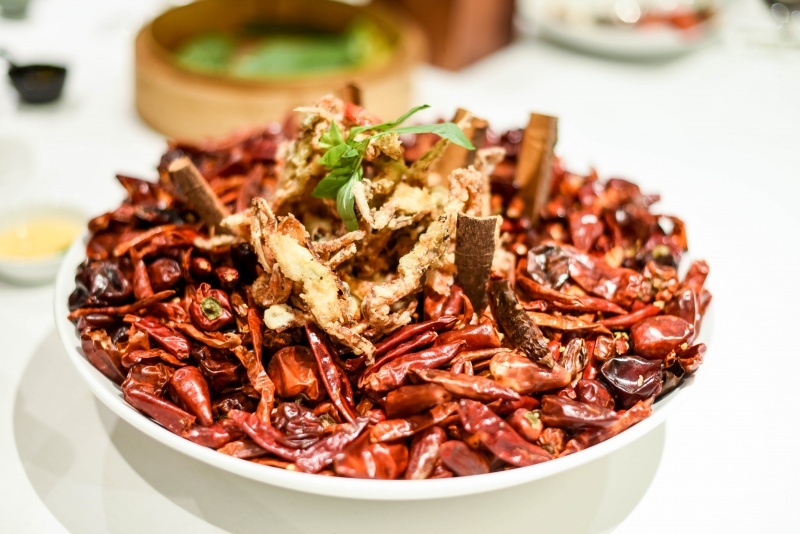 As an extra surprise, a ‘small dish’ of soft shell crab with Vietnamese sauces arrived on an enormous bed of dried red chillies; a real treat for both the eyes and the taste buds, with the dry heat from the chilies seeping into the fried batter and giving a gentle but fiery, smoky kick. After a small pause, change of plates (which really needed to be tablecloth in my case – why am I physically incapable of eating Asian food without creating the mess only a group of sugar-crazed 4-year-old’s could claim to be theirs??? ), and choice of new wines, ‘Les Templiers Pinot Noir, Les Templiers, France, 2014’ or ‘Founders Block Cabernet Sauvignon, Katnook Estate, Australia, 2012’, it was time to move on to mains, causing moans of simultaneous joy and suffering to erupt around the table. 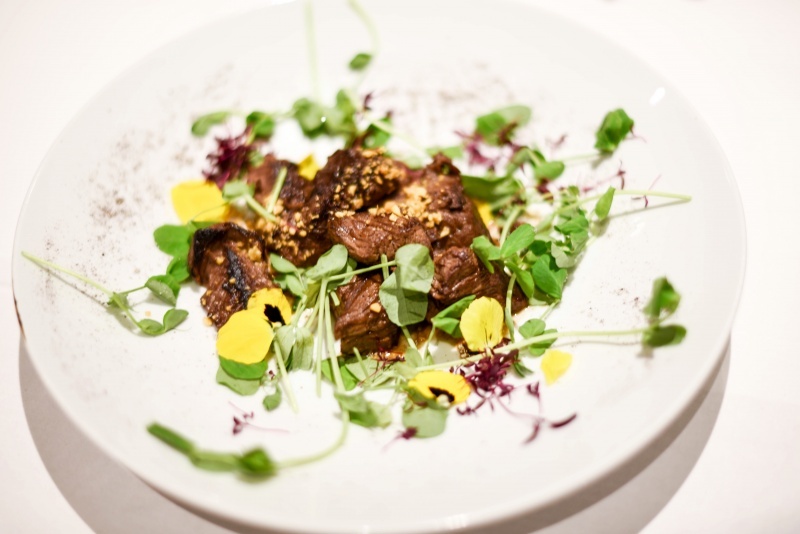 First up was one of Ian’s signature dishes, “shaking beef”. The meat was superbly tender with a smoky flavour which, when munched together with the crumbled peanuts, was essentially my idea of heaven. 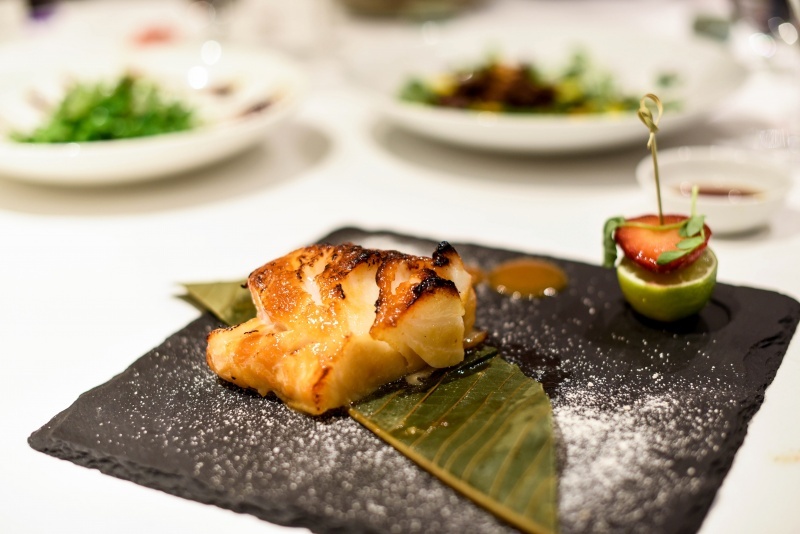 However, it was the Chilean seabass which hogged the limelight of the whole night, in my opinion. A fat hunk of delicious, flakey, juicy fish almost blew my mind as much as my beloved black cod. It was cooked to utter perfection with the thick, sticky, sweet Vietnamese fermented plum sauce making the perfect accompaniment for the delicate-flavoured seabass. 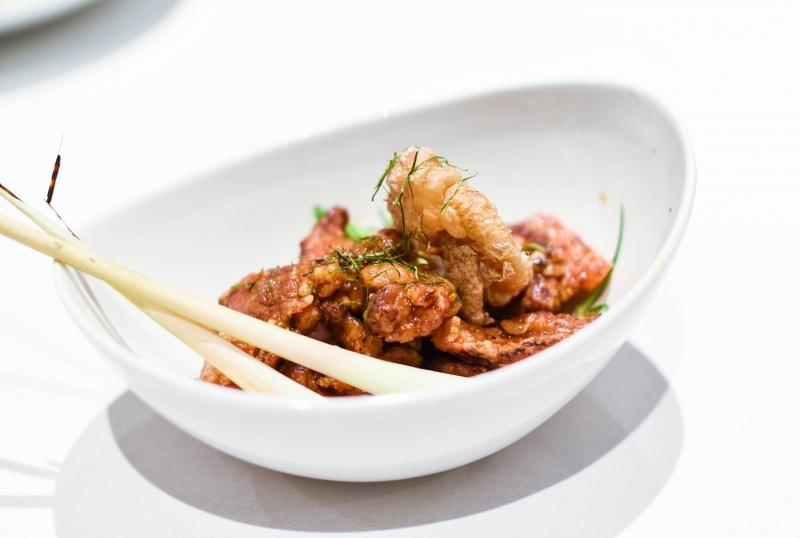 For those in need of more of a ‘takeaway’ fix, the lemongrass chicken was a pimped-up version of your local’s fluorescent gloopy lemon chicken, with the batter impressively crisp & light in spite of the thick and moreish fresh & fragrant lemongrass sauce. We mopped the lot up with Ho special rice and Kai lan (Chinese broccoli), which were both entirely on point and so tasty. 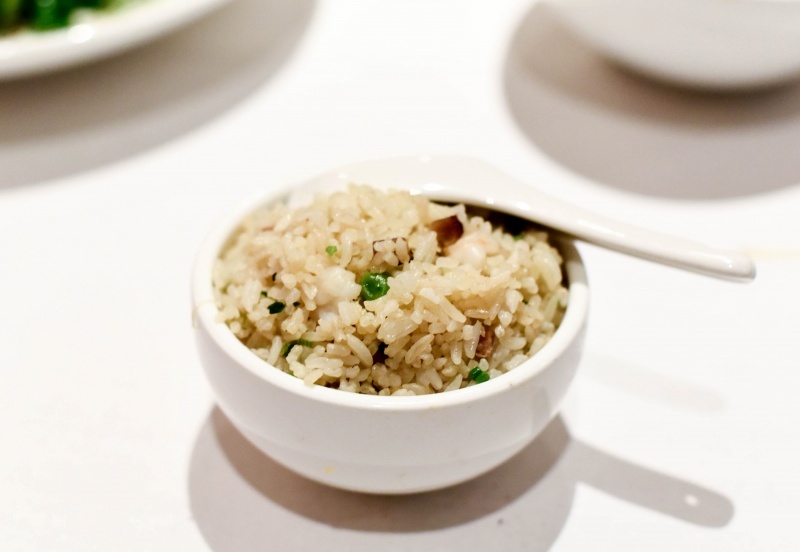 The rice was particularly epic bathed in the lemongrass sauce, and the Chinese broccoli a vegetable revelation for me. The food was outstandingly good. I just wish I’d had an even bigger belly to hoover up every last morsel. It pained me to waste. 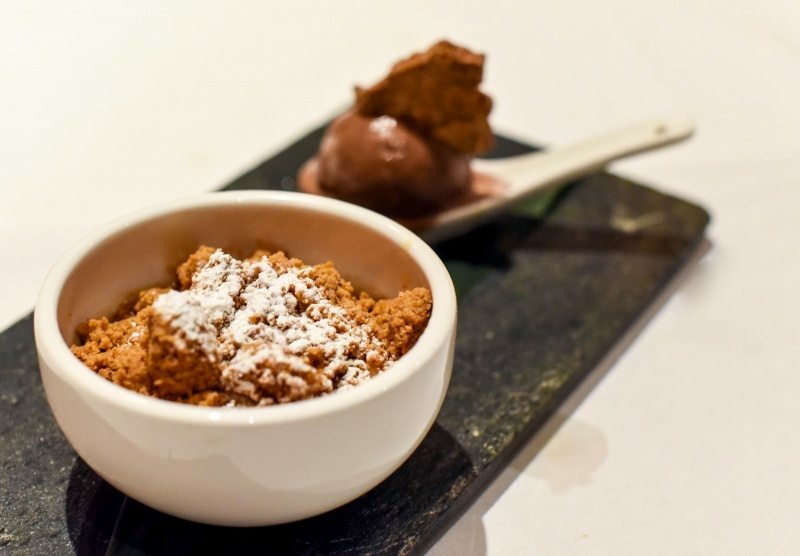 Dessert wine in hand, ‘Moscatel Naturalmente Dulce, Finca Antigua, Argentina, 2013’, I think most of us almost passed out when we realised that the off-menu Ian Pengelley special banana crumbles served with chocolate ice-cream & honeycomb that started entering the room were individual portions. 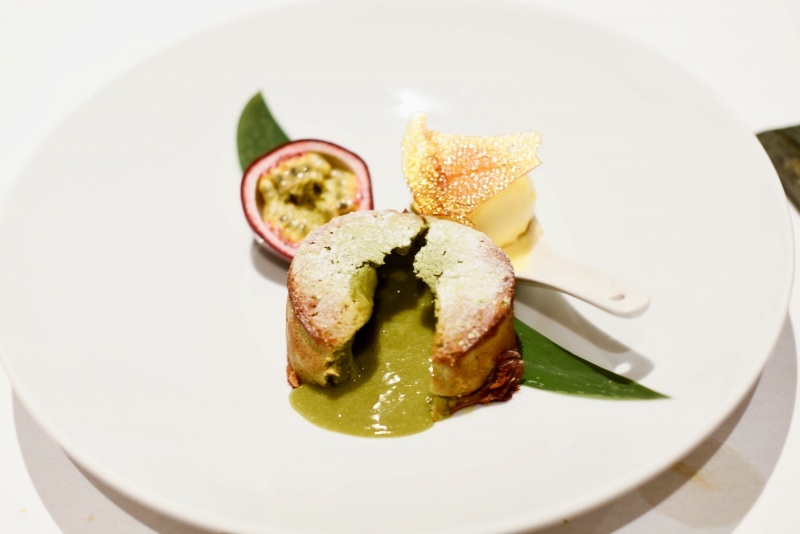 The green tea fondant with white chocolate ice-cream and passionfruit was another absolutely winning dish and a superb dessert. The combination of light, chocolatey sponge, slightly bitter green tea goo and refreshing, crunchy passionfruit seeds had us all scraping over the last scraps, despite unbutton-pants-time having occurred about an hour before. Inventive & attractive chocolate pebbles were placed on the table in case someone needed just one more nibble; an unnecessary but kind gesture and further evidence of the extra mile that the House of Ho had gone to for us. With no expense having been spared and the staff’s apparent care for our thoughts on their food, I couldn’t help but make my way home feeling very humbled and grateful for my wonderful evening. But, their immense hospitality aside, it is still the food which deserves first place in the race. 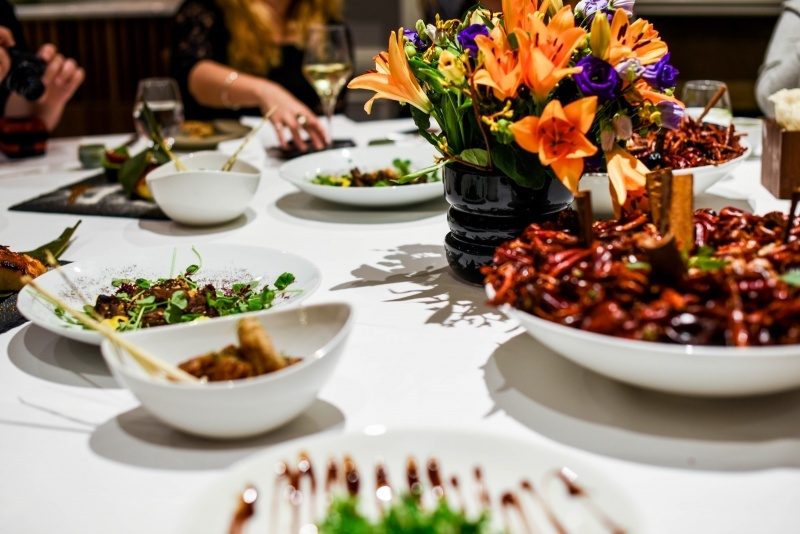 It is honestly SO very delicious and is a much more authentic and varied fine-dining experience of Vietnamese food than anything you get from the cheaper, chainier Vietnamese restaurants currently making their debut in London. So go. I truly couldn’t recommend it more highly, and am super excited to go back and eat all of it all over again. 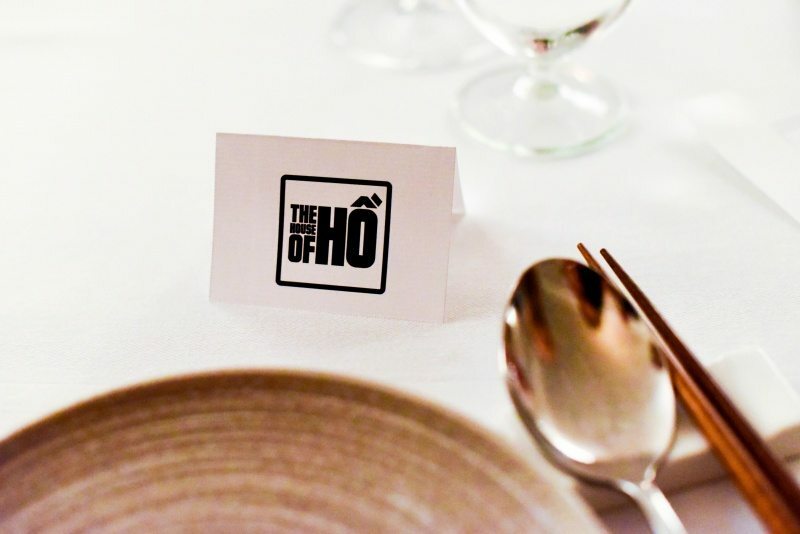 I dined as a guest of House of Ho, but all opinions are my own. Oh that duck and watermelon salad sounds and looks divine! Yum. ‘Twas a lovely evening and truly delicious food! I don’t think I’ve ever read a more ecstatic review from you, apart from Roka of course! 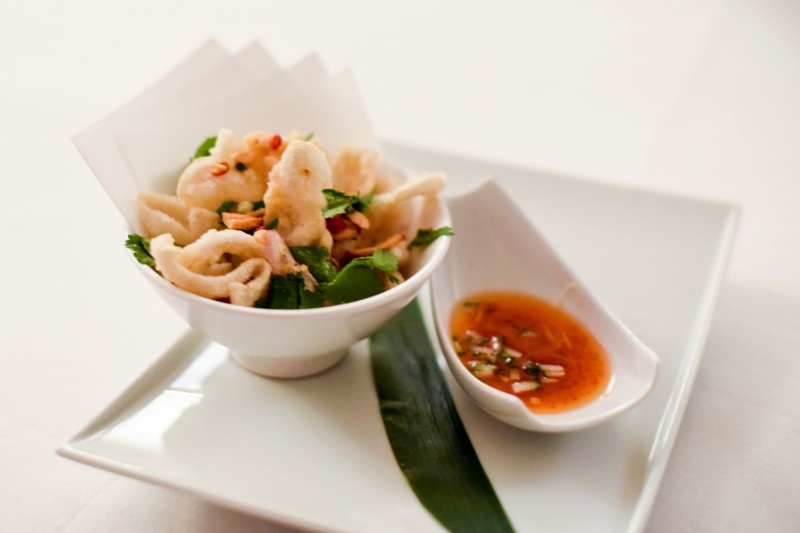 We really enjoyed House of Ho too – I just wish we’d tried the soft shell crab too. I’m loving the usual ombre vibe of those dumplings! And all the other dishes in general, we’ve only been to House of Ho in its past life, but it looks like they’ve really upped their game now! Wasn’t it a delicious night! ?